A team of nine international students of Delft University of Technology in The Netherlands joined forces and searched for a durable future. Their target was clear: Make Hartera a public place which is publicly-used and appreciated by many. 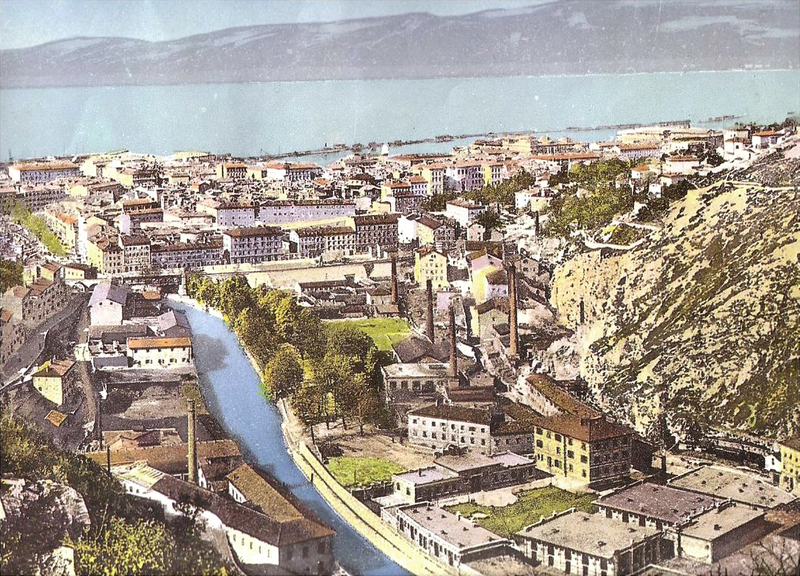 As such, their strategy was threefold: The area must become publicly accessible, hence the amount of connections across the River Rječina and to the hill sides have to be increased. The area must have some public facilities, attracting new people and diversifying reasons to go to the area. And, the area must offer housing, offices and workshops for a variety people to increase activities in the urban space. In general the lesson is that the more kinds of people use the area, the more vital the area will be, and the more kinds of uses there are in the area, the less vulnerable the site becomes. On the bases of the findings, the desirable future of Hartera can be envisioned by nine different interdisciplinary projects. In these experimental design projects, to various degrees, students are interested on one hand to effective urban interventions in the built environment and their effect on architecture, and at the other hand to appropriate architectural treatments of the city and the effect on urbanism. Each of the projects is showcasing a different kind intervention to make Hartera a public space, yet all together interrelated and strengthening each other, they create many places for the people of Rijeka and beyond. This entry was posted in architecture, article, Balkan, Croatia, Europe, European Union, human space, mental image, people, public space, revitalisation, Rijeka, urban space and tagged architecture, article, Balkan, Croatia, Europe, European Union, human space, mental image, people, revitalisation, Rijeka, urban design, urban space by Maurice Harteveld. Bookmark the permalink.